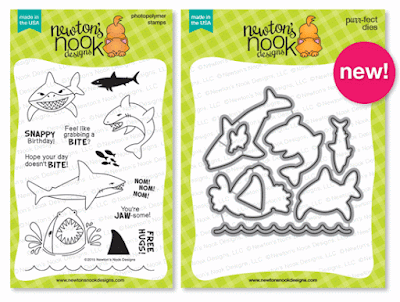 We are featuring our new Shark Bites stamp set and NEW Shark Bites Die Set all week on the NND blog, with two new fun projects each day! 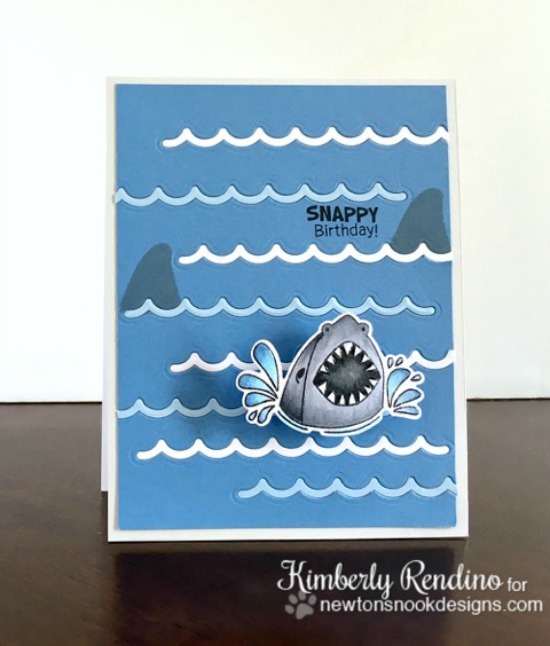 Today we have sharky inspiration from Stephanie and Kimberly! Isn't it so cool how she added the big beach umbrella? It creates such a cute scene - but make sure if you head to this beach that you stay OUT of the water! I also the fun, summery orange and teal color combo! 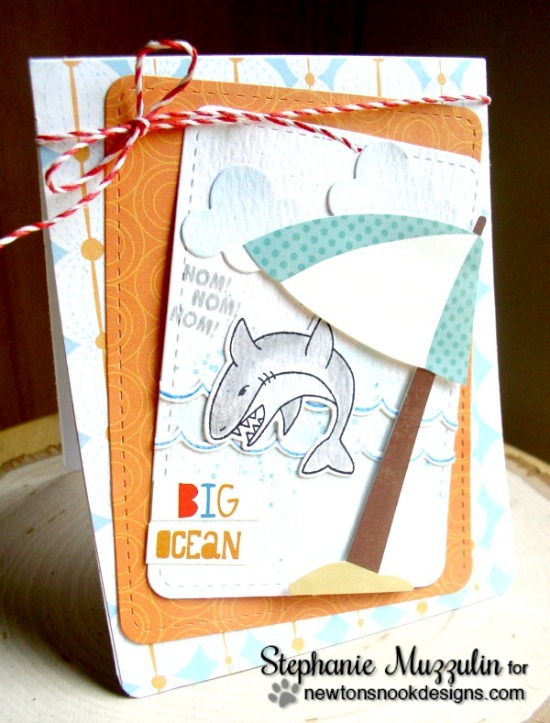 I love how Kimberly used the wave die and cut out waves from the blue base. Then she also cut them out some with light blue paper to fill in the negative space. What a fun way to use that die! I definitely wouldn't want to go swimming in this water! Too Many Sharks!! Make sure to stop back tomorrow for more shark fun! Don't forget - these sets are on special through Friday, July 1! You can get the stamp set for just $12.99 (regular price $14.99) and the dies set for just $21.99 (regular price $24.99) If you buy both you save a total of $5! After Friday they will be back to the regular prices so you'll definitely want to pop over to our shop and grab them while the sale is on! Fun, Fun, Fun cards!! Love the details and the cool images! !